It is remarkable to note that with such political tension in the air, everyday life on the island does not seem to be drastically affected. The Republic of Cyprus is a small country, situated by the eastern part of the Mediterranean Sea, and is home to only 780,000 people. It is an exotic island where the spirit of Greek mythology forms the culture, nature is uninterrupted and life is to be enjoyed at a local café. Meanwhile, America is a vast country extending toward two oceans and containing an impressive 300 million people. It is a land of ethnic diversity, high-rise buildings and a supersonic speed of life. In a trip from January 7 to January 15, 15 college students discovered that both countries were not so different because they had one thing in common: war. The Cyprus Dispute is the formal title assigned to the ongoing conflicts between the Greek Cypriots and the Turkish Cypriots. This conflict has caused a division of the Republic of Cyprus since 1974. The northern half of the island is referred to as the Turkish Republic of Northern Cyprus, and the only country in the world that recognizes it is Turkey. Greeks have always inhabited the island; however, in 1571 the Ottoman Empire conquered Cyprus, which is how the Turks came to argue that the island is theirs. On July 15, 1974, an Athens-directed coup overthrew President Archbishop Makarios III. This led to the July 20 invasion by Turkey, which claimed 36 percent of the island (although the Turks only make up 18 percent of the island’s total population). The U.N. Buffer Zone (green line) is the border that divides the country. As a result, thousands of Greek Cypriots were displaced from their homes and forced to take refuge, most in the southern part of the island. 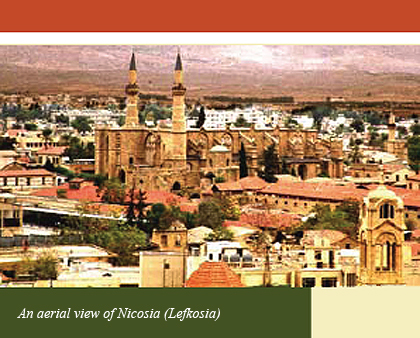 Cyprus today has the last divided capital in the world, Nicosia (Lefkosia). It is remarkable to note that with such political tension in the air, everyday life on the island does not seem to be drastically affected. Walking through Old Town Lefkosia stimulates all the human senses. You hear the locals speak their language, and it seems like an art form. You see the cats strolling across the storefronts. You smell the sweet scent of oranges lingering in the air. You can feel the stone road beneath you, and it seems that you are walking upon thousands of years of history. You can taste the seasoning of the gyros and kabobs on every other street corner. The roads are dotted with thousands of stores, yet it resembles nothing like a strip mall. When I shop in American stores, I can’t help but feel like a victim of consumerism. It is evident that business executives and advertisement specialists have extensively researched what would draw a customer into a store. When shopping in Cyprus, however, nothing seems calculated or strategic. The stores are inviting solely because of their simplicity and those who work there. These are not chain stores whose only incentive is to increase their capital, but humble storeowners who create their merchandise with their own hands. Shopping in Cyprus is a cultural experience in itself. Our week was also filled with many excursions to the various tourist areas of the island. 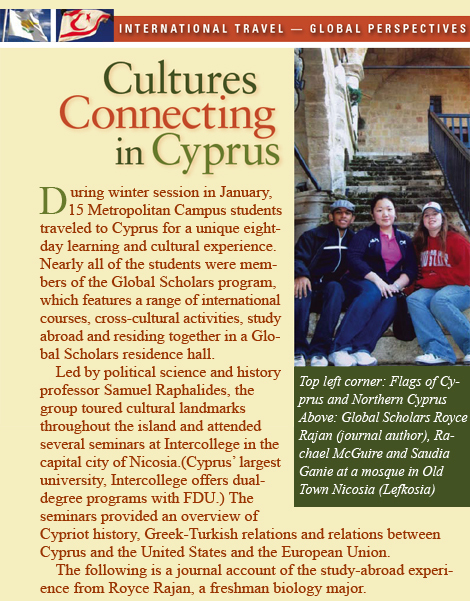 For example, we visited Larnaca, Paphos and Kyrenia. Each part of the country is breathtaking in its own right. For example, we visited various Greek Orthodox churches where the altar is completely decorated in gold, and the walls are filled with iconic murals depicting the story of Christ. I also learned a lot about Greek mythology by visiting places like the beautiful Aphrodite’s Rock (Petra Tou Romiou) and the House of Dionysius. Finally, climbing mountains was all the more rewarding when reaching a castle ruins at the top and being able to see a panoramic view of the island before me. I have seen a piece of paradise. This “paradise,” however, could not last for very long, because this was a country in the middle of a war. Visiting the Turkish side of the island was an intense experience. We had to present our passports to the Turkish officials patrolling the border. While we were in line, a group of Turkish workers completely cut us off, causing us to be pushed to the back of the line. As soon as we passed the border, however, things seemed back to normal. The northern side is just as friendly as the southern side, however the whole vibe changes. The area looks the same as many parts of Nicosia, but feels completely different. It is amazing to think that life can vary so dramatically on such a small island. The tourist areas were great, but on a personal note, I feel the Cypriot culture was highlighted one night at a local restaurant. We had ordered a traditional 11-course meal called a meze. Ten of these meals were ordered, resulting in 110 Mediterranean dishes vying for space on the small table as the waitress ran back and forth all night. Along with our ignited taste buds, our ears were stimulated by live Greek music. It wasn’t long before a few of us started to dance. Soon enough, the waiter joined in the festivities to teach us how to dance the traditional Greek style of dancing, followed by the rest of the people in the restaurant. This indeed, was a fusion of cultures — Greek, Turkish and American — and a night that will not easily be forgotten. It is always important to step out of one’s comfort zone to refocus the lens of the human spirit and gain a new perspective on life. It is always important to step out of one’s comfort zone to refocus the lens of the human spirit and gain a new perspective on life. The world is a big place, and to make sense of it all, it is necessary to understand its many cultures. War, whether it is in America, Cyprus or elsewhere, is usually caused by a misunderstanding or disagreement among different parties. In turn, this breeds a low degree of tolerance for other cultures. However, we must take the time to recognize that we are all united by the common thread of humanity. It is crucial that we establish what defines the fundamental principles of human rights. 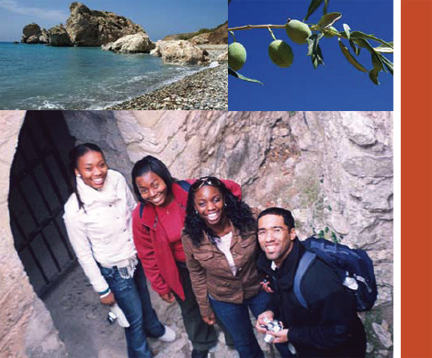 Through this study-abroad experience, I have learned that we must stop insisting on our differences, whether it be Turks vs. Greeks, Muslims vs. Catholics, etc., and start nurturing a love for the human race as a whole. ©Copyright 2007 Fairleigh Dickinson University. All rights reserved.